The University of Chicago Booth School of Business plans to relocate its current campus in London to a larger space in historic London, in an effort to expand its activities and presence in this region. 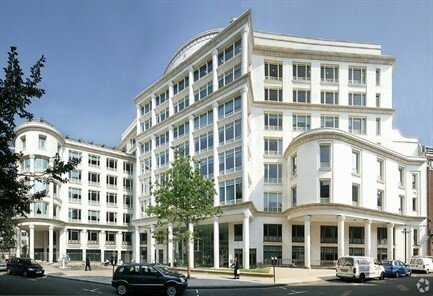 The move from Booth’s current London campus, at 25 Basinghall Street in the financial district, to its new campus, which is located in a newly constructed office building at One Bartholomew Close in Barts Square, is planned for late spring 2020. The state-of-the-art campus will continue to be home to Booth’s Executive MBA Europe Program, and its larger size will permit expanded programming, such as MBA classes, non-degree executive education, academic conferences and seminars, and other events. With 43,976 square feet of space on the first three floors, the new campus will include two executive-style tiered classrooms, flexible event space, and open areas for alumni, students, and guests. The University of Chicago Booth School of Business has campuses in Chicago, London, and Hong Kong. It was the first school to introduce an executive MBA program, and the first to establish a truly global presence, with permanent campuses on three continents. For more information on Chicago Booth’s MBA and executive programs, visit them online.